See sample pages from the book (PDF format). The concept of the earth as a sphere has been around for centuries, emerging around the time of Pythagoras in the sixth century BC, and eventually becoming dominant as other thinkers of the ancient world, including Plato and Aristotle, accepted the idea. The first record of an actual globe being made is found in verse, written by the poet Aratus of Soli, who describes a celestial sphere of the stars by Greek astronomer Eudoxus of Cnidus (ca. 408–355 BC). The oldest surviving globe—a celestial globe held up by Atlas’s shoulders—dates back to 150 AD, but in the West, globes were not made again for about a thousand years. It was not until the fifteenth century that terrestrial globes gained importance, culminating when German geographer Martin Behaim created what is thought to be the oldest surviving terrestrial globe. 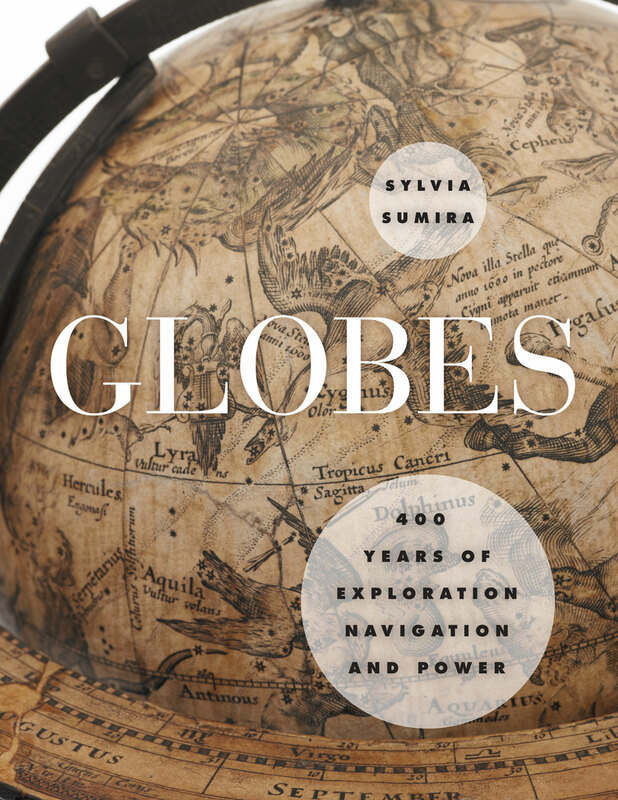 In Globes: 400 Years of Exploration, Navigation, and Power, Sylvia Sumira, beginning with Behaim’s globe, offers a authoritative and striking illustrated history of the subsequent four hundred years of globe making. Showcasing the impressive collection of globes held by the British Library, Sumira traces the inception and progression of globes during the period in which they were most widely used—from the late fifteenth century to the late nineteenth century—shedding light on their purpose, function, influence, and manufacture, as well as the cartographers, printers, and instrument makers who created them. She takes readers on a chronological journey around the world to examine a wide variety of globes, from those of the Renaissance that demonstrated a renewed interest in classical thinkers; to those of James Wilson, the first successful commercial globe maker in America; to those mass-produced in Boston and New York beginning in the 1800s. Along the way, Sumira not only details the historical significance of each globe, but also pays special attention to their materials and methods of manufacture and how these evolved over the centuries. A stunning and accessible guide to one of the great tools of human exploration, Globes will appeal to historians, collectors, and anyone who has ever examined this classroom accessory and wondered when, why, and how they came to be made.